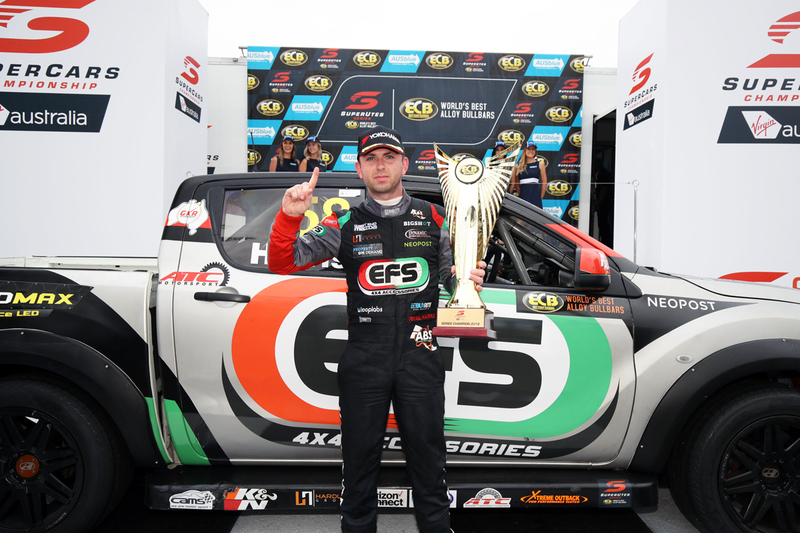 ECB SuperUtes Series champion Ryal Harris was relieved to repay Peters Motorsport with the 2018 title, having fallen short in the V8 Utes Series finale 12 months earlier. 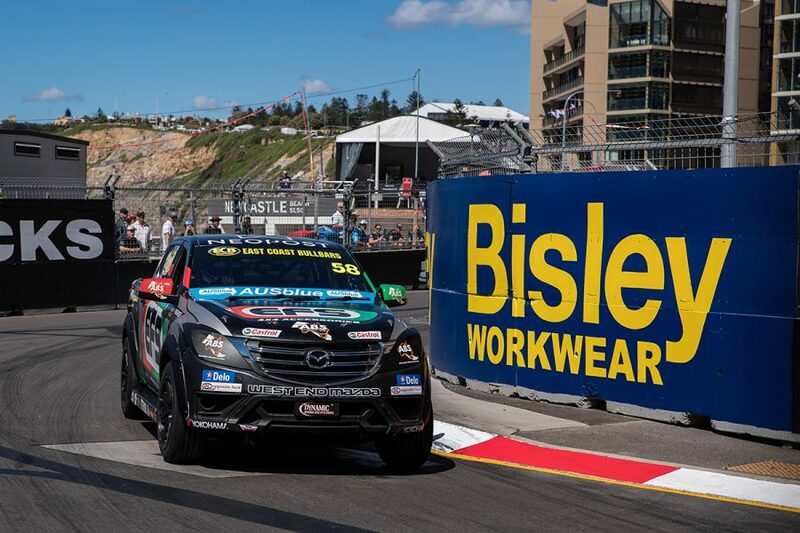 Harris missed out on a fourth V8 Utes crown by two points in Newcastle in 2017, as a result of a 10-second penalty contact in the final race. That handed the era-ending 2017 title to Kim Jane, as Harris and his squad shifted their focus to the inaugural SuperUtes Series. The EFS 4x4 Mazda driver began the season in good form, claiming victory in the maiden race and won 10 more on his way to the title. "It was all for them, I let them down to a certain extent last year, we were hard done by," Harris said of his team. "I was just relieved, after not winning it last year, we led most of the season and lost it at the last round. "That was pretty devastating, but we came back this year, and Rod Dawson and Brett Peters and I said to each other, 'we'll just come back and win it next year', that's the best way. "We managed to do that and we sort of hit our stride and got some good form in the last three rounds, which is the business end of the season. "I just like seeing them happy because they've put in a massive effort this year – every team has – but they've put in a massive effort, building those cars, prepping them and fixing them. "Obviously I've won a few championships before, but we wanted to win it really badly, obviously for the inaugural season, for Mazda, for EFS and everyone." Harris started the Newcastle finale with a 27-point advantage over title rival Craig Woods and ended it 38 clear. A grid penalty sent Harris to the back for the opener, after high winds blew the tonneau cover off his Mazda in qualifying, the car coming in 4kg underweight. Woods took advantage and closed the gap after taking third to Harris' seventh, but the lead was restored after Harris won the second leg. Having already served a penalty in Race 2, Woods' hopes vanished when the Penrith Toyota Hilux suffered mechanical dramas in the final. Harris crossed the line third, to embed his name as the maiden ECB SuperUtes Series winner. "The weekend started off a little stressful after the qualifying penalty," Harris said. "But seeing all the boys and how relieved they were and how happy they were [when the title was won], that is when it definitely sunk in. "I just go out and have fun every session, driving the big diesels as hard as I can, it is definitely interesting driving those cars on the limit and the actual cars are awesome. "It was a good season of racing and I really enjoyed it, I'm just happy the team has got the championship they deserve and EFS are stoked and over the moon. 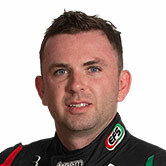 The 33-year-old is set to stick with Peters Motorsport next year for a title defence. "It is a good feeling knowing that EFS and the team are already locked in for next year, I don't have to spend the Christmas holidays trying to find sponsors or put deals together," Harris added. "I can't complain, I'm racing cars all around Australia at all the big circuits and I've got great sponsors and personal sponsors. "It is a job for me and I love it, I love racing. I actually love driving the cars, they're awesome fun, they're a handful and it is a big challenge."